All natural product containing high levels of amino acids, vitamins, minerals, trace elements and herb extract to help maintain better muscle properties. 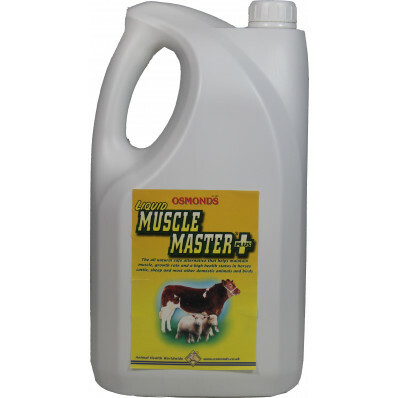 Provides a high intake of nutrients and slows down the digestion of feed allowing maximum nutrient utilization. Helps produce a high health status which in turn produces better muscling properties alongside a more efficient performance. Helps produce more profitable livestock.